Save $400 off the regularly priced sign-up fee of $599. Receive a free branding video ($199 value) and press release ($50 value) and get 1 month for free! Call now or fill out the form below. According to a study performed by mobile data tracking company Infomate, American smartphone users send and receive five times as many texts compared to the number of phone calls daily. That’s astonishing information, and what’s even more impressive is the fact that those texts aren’t just coming from teenagers. Texting is becoming the preferred method of communication for both business and leisure time. The good news is Tech Treats is here to help your business thrive in the age of texting. 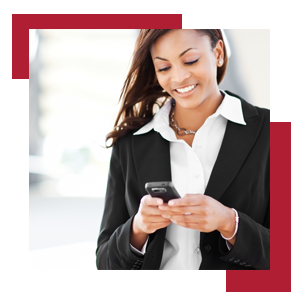 Our SMS service allows you to send promotions, discount codes, and events to customers who opt-in to your texting service. Whether that’s an online discount code, a deal on a special service you’re offering, or a reminder that Black Friday is coming up, you can keep your customers in the loop — and, more importantly, keep your business on their minds. When you sign up for one of our mass texting service plans, we’ll give you 5,000 SMS texts and your first month absolutely free. Refer four friends to us and we’ll set you up with free SMS business texting for life. You can offer amazing deals to customers, such as, “Text SHOES to 44312 for 40% off your next purchase.” By making it short, sweet, and easy, your clients will not only keep coming back, but they’ll also bring friends and family along with them. SMS texting for businesses is a cost-effective way to bring in customers and is better than radio campaigns, print ads, giveaways, and email campaigns. Instead of spending thousands of dollars on digital marketing, Tech Treats offers mass texting services that are highly effective and at pricing that’s shockingly affordable. Contact us online or by phone to get started!